Offering you a complete choice of products which include polysulphide sealant, polymer crackfilling powder, acrylic latex sealant and polyurethane sealants. 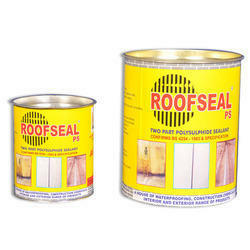 From our wide range of products, we offer excellent quality Polysulphide Sealant. The offered sealant is processed under the observation of our quality experts by using sophisticated technology at par with international quality standards. The whole range of sealant forms a tough, elastic seal & offers superb bonding adhesion to most common substrates. Has a movement capability of + or - 25%. Recommended for expansion and construction joints of runways, buildings etc. To meet the variegated requirements of our esteemed clients, we are offering a qualitative array of Polymer Crackfilling Powder. The offered crack filling powder stops the leakages, seepages, completely & has outstanding bonding strength to the adjoining surfaces. 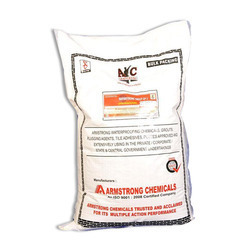 This crack filling powder is processed by utilizing top-notch quality ingredients as per the set industry norms under the observation of our experts. Additionally, patrons can avail this crack filling powder from us at market rates. We are recognized as the prominent manufacturer and supplier of a broad assortment of Acrylic Latex Sealant which suitable for exterior and interior crack filling works, the offered latex sealant is processed with the best grade ingredients and leading technology according to the quality standards. 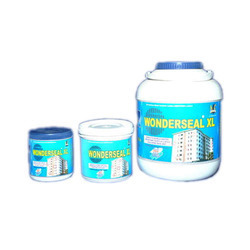 This latex sealant is available in various customized packaging options. Our latex sealant is tested by our quality controllers on various parameters in order to make certain their quality. Single component product, highly flexible, durable, paintable, ideal for exterior and interior crack filling works, etc. Our expertise lies in manufacturing, and supplying a comprehensive range of Polyurethane Sealants which is ideal for filling of expansion joints, the offered polyurethane sealant is precisely processed using premium quality ingredients and advance technology in accordance with quality standards. This polyurethane sealant is known for its excellent weathering and ageing properties. 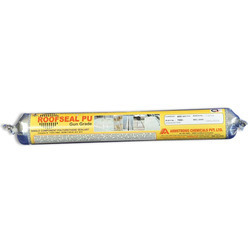 Moreover, customers can avail this polyurethane sealant from us at reasonable rates. Ready to use sealant with excellent adhesion to most of the substrates. Excellent weathering and ageing properties, tough, hard cured sealant accommodates the cyclic movements of applied substrates, highly flexible sealant protects the area of application for a long period of time. It can be applied to range of surfaces such as stone, cement, wood, glass, anodized aluminium, plastic, metal etc. ideal for filling of expansion joints, construction joints, Terrace Cracks, sealing joints at doors, windows, facades, frames, cracks, etc., with proven performance. For porous substrates, Provides excellent bonding to the sealant and to the porous surface / For non-porous substrates, Provides excellent bonding to the sealant and to the non-porous surface. Looking for Polyurethane Polysulphide Sealants ?